She is covered in slime with her suit. She is covered with whole body slime. "I love to get wet wearing YUKATA." Hi! I’m Yuu Hinata. I love to get wet wearing clothes. One of my favorite wet is wearing YUKATA♡ Wet YUKATA cling to the body. That feels so good! 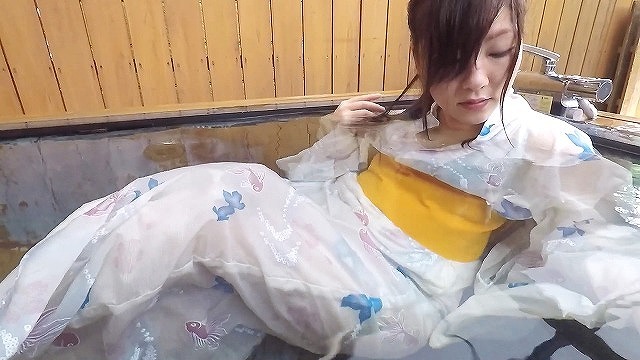 I try get wet wearing YUKATA it once, I’ll become addicted.